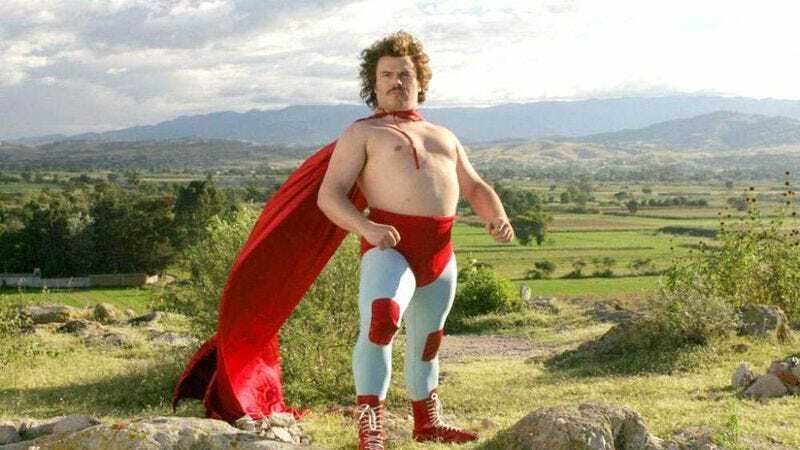 America’s obsession with Nacho Libre shows no signs of slowing. The director of Napoleon Dynamite had great success with that film’s follow-up, the Jack Black-starring comedy about luchador wrestling. We can all still recall the day everyone took off their “Vote For Pedro” shirts, replacing them with Mexican wrestling masks and capes. And remember when all your friends stopped quoting Napoleon, and started making references to obscure real-life Catholic priests? Another thing that definitely happened. And then there is the United States’ ongoing love affair with swallowing the yolk from eagles’ eggs, an act now as ubiquitous as the famed dance moves Napoleon busts out on stage. Happily, our prayers have been answered, as Variety reports that Black and director Jared Hess are re-teaming for a new movie. Micronations will explore the world of “do-it-yourself countries,” the small and unusual society of “eccentrics and visionaries who have declared their own backyards sovereign nations.” And unlike the public relations nightmare that is Disney’s version of someone claiming to have created their own country, this one will keep the ridiculous behavior strictly in our own backyard. Specifically, a newly declared sovereign state adjoining Wayne County, Nevada. Black is recruited to be head of defense for the brand-new nation of Valoria, whose population is 12, probably the number of family members that can fit into a two-bedroom house comfortably. The film will be scripted by New Girl writers Robert Snow and Christian Magalhaes. No word yet on when filming will begin, but given that Hess sold a film at Sundance this year and also has the Zack Galifianakis and Kristin Wiig-starring Masterminds coming out August 9, his schedule is hopefully already clear. Perhaps these latest films will rescue the director’s reputation, since until this year’s Don Verdean his sole post-Nacho feature was Gentlemen Broncos, a film that has been declared a sovereign state of whoops.